The Reference Lines and Angles (RLA) of femur in the sagittal plane which characterize its physiological sagittal bowing have not been found till now. 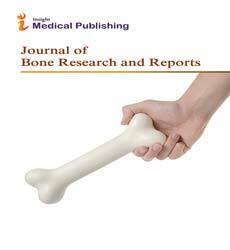 Mutual relations of the mid-diaphyseal lines of the proximal, middle and distal thirds of femur in 30 femoral bones were studied. The angle between the mid-diaphyseal lines at the level of the proximal third is 10°, at the level of the middle third-16°, at the level of the distal third-7°. A comparatively small amount of the experimental bones makes it possible to consider our results as a preliminary data.